So sometimes, Sabrina and I like to challenge ourselves. Today we challenged ourselves to come up with different Tapas recipes that would be easy to make for the person who doesn’t really enjoy cooking so much. Pretty much whenever we do this, it is with an ingredient, or with a recipe. This morning, we wanted to play with some product that Hida Philippines sent over the other day because we were supposed to host a Halloween #Cookfest. Unfortunately, I ran into some minor domestic issues and was unable to host our yearly gathering as we had scheduled it for tomorrow. 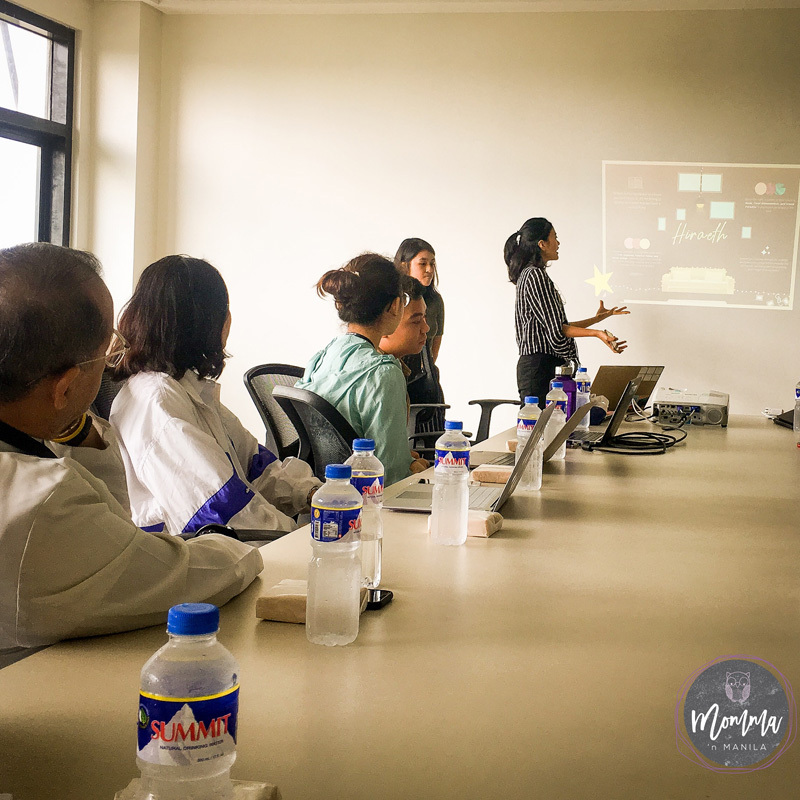 Instead, we got together for two hours this morning, before I was scheduled to attend the Graduation Ball Committee meeting with Brother Bernie on the Vermosa Campus with the Grade 12 students and my co-parents. So, before I went off to the meeting, we had 2 hours to throw some recipes that we discussed together once we got a look at all the products that Hida sent over for us to try. I started on the pate by using the recipe that Nino always makes around the holidays. We have given this pate to our friends as gifts in cute little ramekins with a fresh baguette in years past. We have always tried to give something that is mindful and as much as possible we try to give something that is made from our kitchen with love. There was even one year, that I made apple pie for all of our friends! I think we bought 4 cases of Granny Smith’s that year! But I digress from explaining our self-imposed challenge. 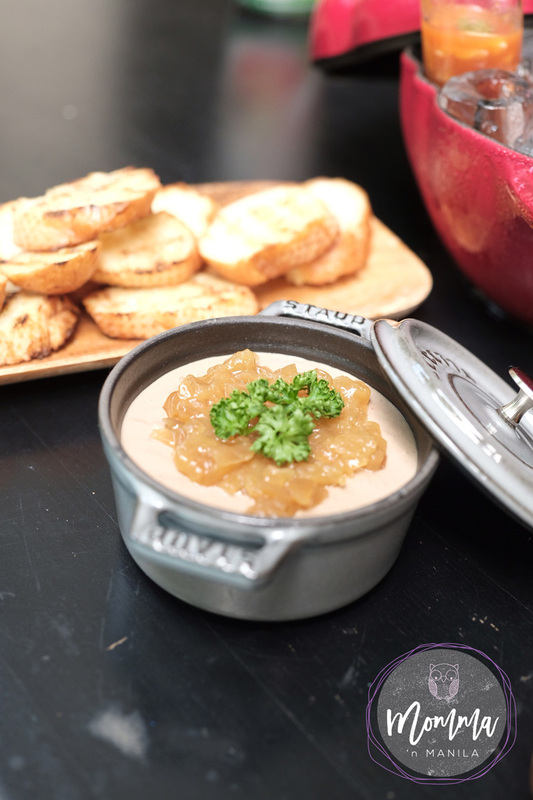 Sabrina and I wanted to make Paté with Caramelized Onions, Tapas, and a we wanted to assemble a Seafood Gazpacho. We did this in 30 mins. A lot less than two hours. In fact, it took us longer to shoot everything than it did to make it! 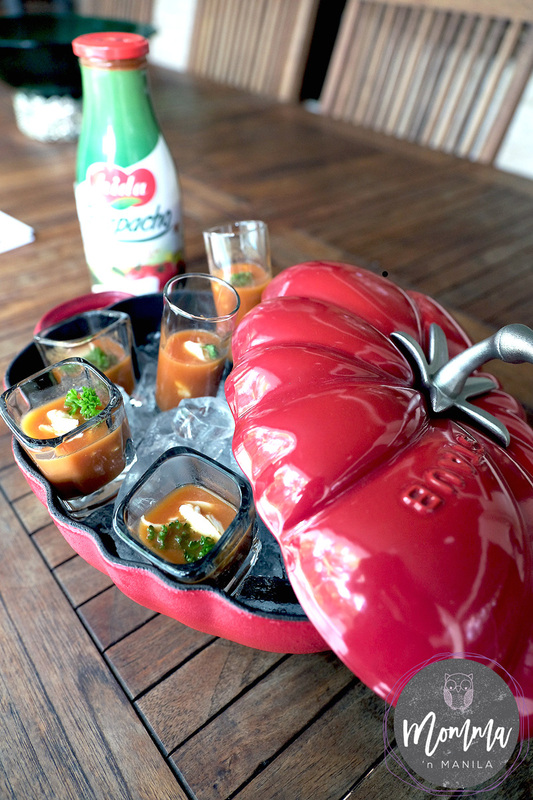 All we did was pour the gazapacho in each of the shot glasses, top with crab and parsley, and then nestle the shot glasses carefully, on the bed of ice which we laid out in the Staub Tomato Cocotte. So while Sabrina was fixing and shooting the Cocotte, I was making the paté. Our usual recipe includes lotsa butter and good cream. And all I did to change it up a little was to add the Caramelized Onions and a garnish of parsley. Serve with grilled baguette brushed with a good olive oil and you have an instant appetizer! Now, after we assembled these two dishes Sabrina started the tapas. 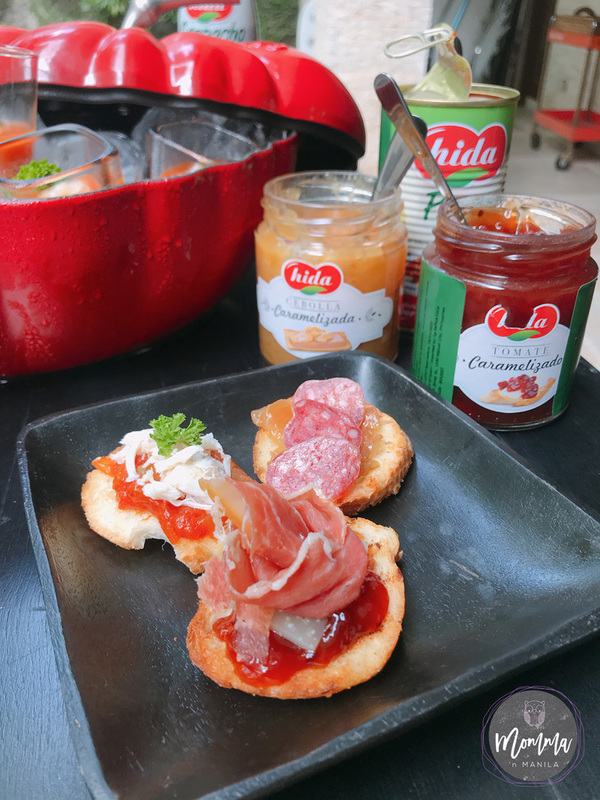 After toasting the bread we used the two different jams from Hida Philippines and put together a combination of Manchego, Jamon, Sopressata, and crab just to vary all the different tastes. Now, when we looked up at the clock, we had more than an hour to spare before I had to leave the house for my meeting. Now, what do we have to do to make this spread fit for a holiday party? 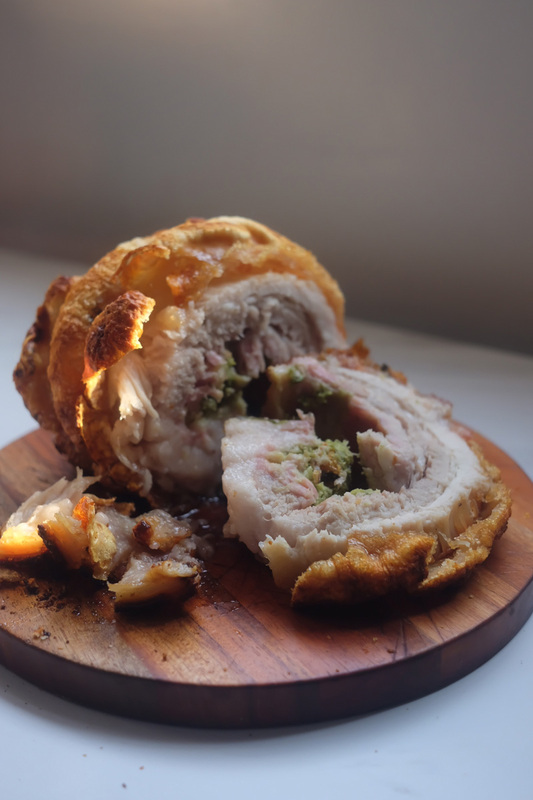 Add a HALF slab of Manila Belly! I have ordered Manila Belly for different occasions where I have been entertaining here in the home for larger groups, but now that they have half slabs available, it makes it even easier for us to enjoy our favorite Lechon Belly even when it’s just the six of us. 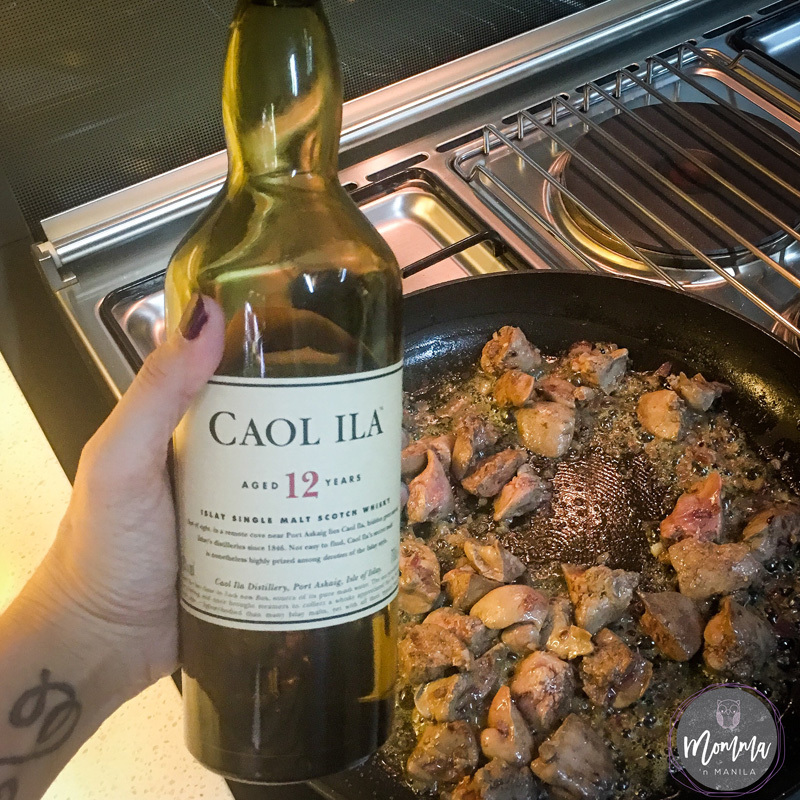 Would you enjoy this spread for cocktails? Hi! 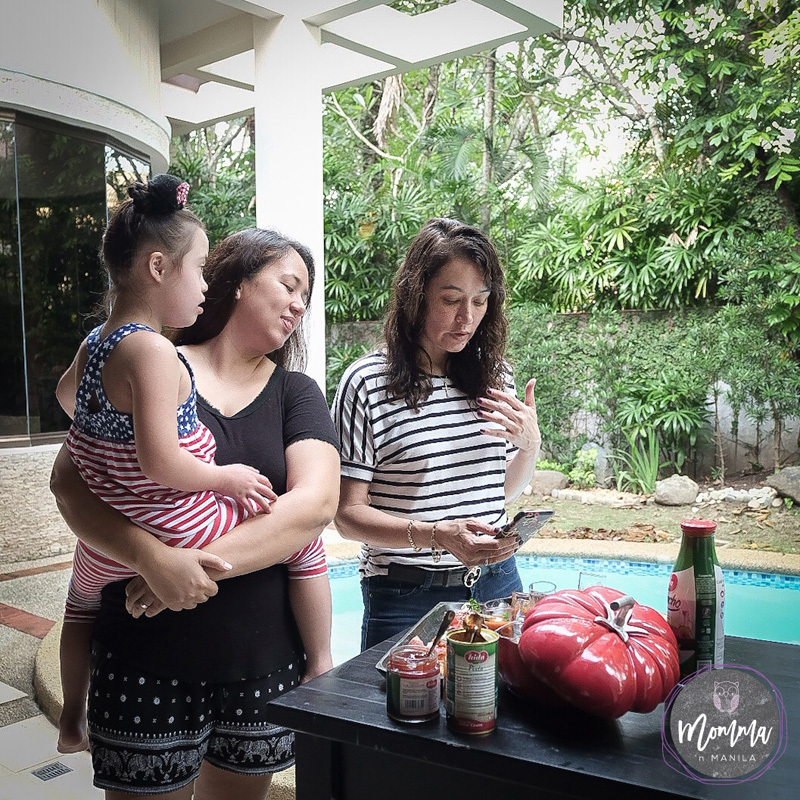 Here is where I share my thoughts on yoga, cooking, crafting, raising a special child, exploring, eating, playing, and living in Manila. Is it really March already? helenfrancesi on Is it really March already? michelle on Is it really March already? Peter Ressa on Is it really March already?